Lord Charles Cavendish FRS (17 March 1704 – 28 April 1783) was a British nobleman and Whig politician. Cavendish was the youngest son of William Cavendish, 2nd Duke of Devonshire, and Rachel Russell. On 9 January 1727, Lord Charles Cavendish married Lady Anne de Grey (died 20 September 1733), daughter of Henry Grey, 1st Duke of Kent, and Jemima, his first wife. They had two children: Henry Cavendish (1731–1810), considered one of the most accomplished physicists and chemists of his era, and Frederick Cavendish (1733–1812). Cavendish entered the House of Commons for Heytesbury in 1725 and would remain a member in various seats until 1741, when he turned the "family seat" of Derbyshire over to his nephew William Cavendish, Marquess of Hartington. In 1757 the Royal Society (of which he was vice-president) awarded him the Copley Medal for his work in the development of thermometers which recorded the maximum and minimum temperatures they had reached. Charles Cavendish was also one of the early experimenters with the electrical storage device, the Leyden jar, which came to England in 1746. His interest in electrical research was passed on to his son Henry who was also a prominent member of the Royal Society. 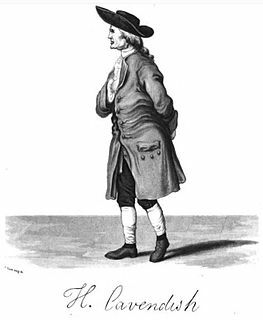 Henry Cavendish was even better known than his father for electrical experiments, and also for other discoveries in physics, including the famous torsion-balance measurement of the mass of the earth. In 1759, when Wilson repeated experiments "first contrived by Lord Charles Cavendish," he observed a "singular appearance of light upon one of the surfaces of the quicksilver," (from The History and Present State of Electricity, J Priestly (1775) vol. I, p. 355). The quicksilver (mercury) was part of the evacuation scheme, and it is not clear, but possible, that Wilson was referring to a cathode spot on mercury. William Henry Cavendish Cavendish-Bentinck, 3rd Duke of Portland, was a British Whig and Tory politician during the late Georgian era. He served as Chancellor of the University of Oxford (1792–1809) and twice as British prime minister, of Great Britain (1783) and then of the United Kingdom (1807–09). The twenty-four years between his two terms as Prime Minister is the longest gap between terms of office of any British prime minister. 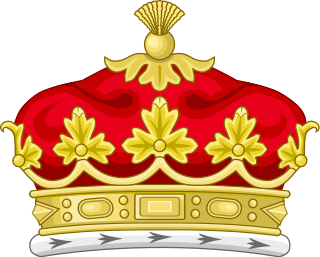 William Cavendish, 2nd Duke of Devonshire was a British nobleman and politician. He was the eldest son of William Cavendish, 1st Duke of Devonshire and Lady Mary Butler. A prominent Whig, he was sworn of the Privy Council in 1707, and served as Lord President of the Council from 1716 to 1717 and 1725 to 1729. He married The Hon. Rachel Russell (1674–1725), daughter of William Russell, Lord Russell on 21 June 1688. William Cavendish, 3rd Duke of Devonshire, was a British nobleman and Whig politician who sat in the House of Commons from 1721 to 1729 when he inherited the Dukedom. William Cavendish, 7th Duke of Devonshire, styled as Lord Cavendish of Keighley between 1831 and 1834 and known as The Earl of Burlington between 1834 and 1858, was a British landowner, benefactor, nobleman, and politician. William Henry Cavendish-Scott-Bentinck, 4th Duke of Portland PC DCL, styled Marquess of Titchfield until 1809, was a British politician who served in various positions in the governments of George Canning and Lord Goderich. 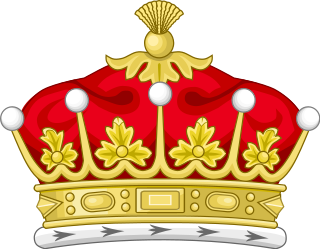 Baron Chesham, of Chesham in the County of Buckingham, is a title in the Peerage of the United Kingdom created in 1858 for the Hon. Charles Cavendish, who had earlier represented Aylesbury, Newtown, East Sussex, Youghal and Buckinghamshire in the House of Commons as a Liberal. Henry Grey, 1st Duke of Kent, KG, PC was a British politician and courtier. William Bentinck, 2nd Duke of Portland, styled Viscount Woodstock from 1709 to 1716 and Marquess of Titchfield from 1716 to 1726, was a British peer and politician. William Amelius Aubrey de Vere Beauclerk, 10th Duke of St Albans, PC DL, styled Earl of Burford until 1849, was a British Liberal parliamentarian of the Victorian era. 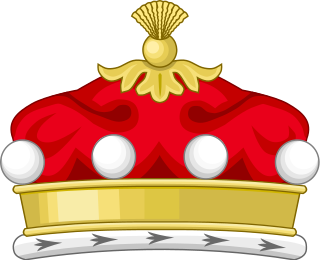 Lord Richard Frederick Cavendish, CB, CMG, DL, JP, known as Richard Cavendish until 1908, was a British aristocrat, author, magistrate, and politician. Hon. William Cavendish MP was an English nobleman and Whig politician. He was the son of Lord George Cavendish, later Earl of Burlington. Lord Henry Cavendish-Bentinck, known as Henry Cavendish-Bentinck until 1880, was a British Conservative politician.